If you’ve wondered whether cloaking your links is worth it, read on because in this post I’m going to explain exactly how to promote an affiliate link correctly and also “Why” you should mask your links every time. Let’s face it, affiliate marketing is a great way for people to get started in internet marketing because it’s relatively easy, cheap to do and a lot of fun. But it’s not much fun when you put a load of time and effort into it, only to find your links were hacked and someone stole your commissions! That’s right, to stop commission thieves taking your hard earned commissions, you really do need to disguise your affiliate links. If you don’t think this will happen to you, think again. It happens all the time! So to make sure you receive EVERY dollar you’re entitled to you really need to cloak, or disguise, ALL your affiliate links. But it’s not all bad news because there are some great benefits to cloaking too…. 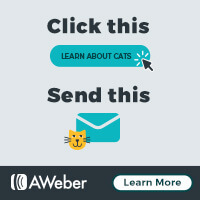 Firstly, correctly cloaked links will help avoid SPAM filters categorizing your messages as SPAM and ditching them before they even reach their destination. This can happen when you use free link shorteners like “TinyURL” and “Bitly” – since these are routinely used by spammers. And secondly, your links will look nicer and people will click on them more. That’s good, right? So How Do You ‘Cloak’ Your Links? Well, there are a variety of ways to do it ranging from costly and tricky to incredibly simply. And that’s where a lot of folks can get lost and confused, or they can spend way more than they really needed to. But all is not lost, because a few days ago I got the chance to look at a cute little tool that has many of the benefits of more expensive programs, without the hefty price tag. How to Promote An Affiliate Link and What does a Cloaked Link look like? This is a cloaked link and a quick look at it instantly tells us …. 2) A hint that it might actually be good since he uses the word ‘recommended’. 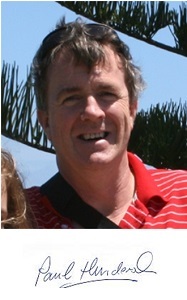 1) Do you know & trust this marketer? 3) You can quickly decide if the product is going to be any use to you or not. Outperform links like this (from Clickbank for eg), – every time! I promise you, people are much more reluctant to click on the lower kind of link since it’s just a jumble of characters, has no trust value, and it could take them anywhere. The neater looking top link has been constructed using a Link Cloaking software, and those benefits once again are…. 2) Nicer to look at leads to more clicks and more money! 3) No more losing money from commission thieving. And that my friends is exactly why and how to promote an affiliate link. 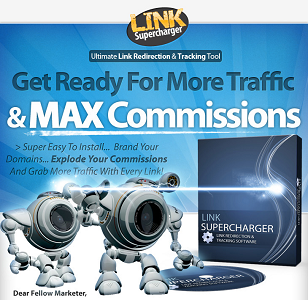 Affiliate Marketers love LINK SUPERCHARGER because it’s an excellent and low cost way to get Link Cloaking software that does all these things for you, – very quickly and simply. And like I said – this amazing script is so easy to use, and even a halfwit like me was able to install it in just a couple of minutes – and I assure you I have very little in the way of techie skills! Link Supercharger instantly makes you look more professional. And when I tell you you can have it installed and up & working in less than 10 minutes, you’d be mad not to give it a try. I’ll be totally honest, – many link cloaking softwares can do all this. But most aren’t as simple to install and use as Link Supercharger, and NONE are as cheap to buy. That’s because most other commercial link cloaking softwares are only available by monthly subscription. 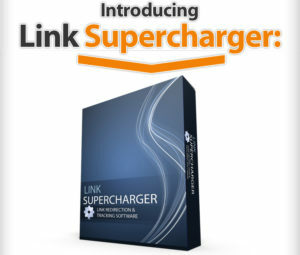 At Link Supercharger, we want you to have all the benefits without that hefty price tag. Look, you’re an affiliate marketer. You earn your income through affiliate marketing. 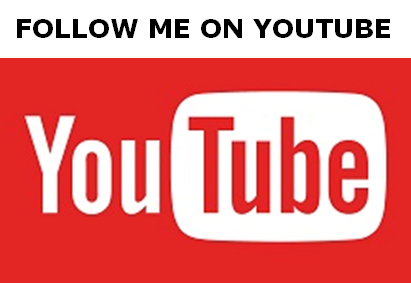 And now that you know why and how to correctly promote an affiliate link, you should do this from now on. For a limited time, I’m offering this for way less than it should cost at just US$14.95 as a one-off fee.